If you’re looking for a complete guide to finding the best piano keyboard in 2018, you’re in the right spot! 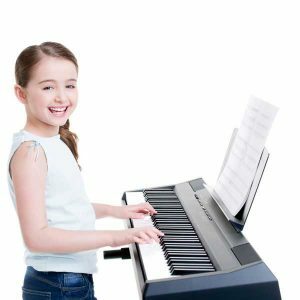 Our focus at Piano Keyboard Reviews is helping beginners find the right keyboard for their needs - whether you're looking for a keyboard for yourself or your child. On this page we provide a quick buyer's guide for newbies, explaining the difference between digital pianos and keyboards; learning piano on a keyboard; cost of piano keyboards; the best brands; how to choose the right model for your needs; and reasons to get started now! WHAT'S THE DIFFERENCE BETWEEN A DIGITAL PIANO AND A KEYBOARD? 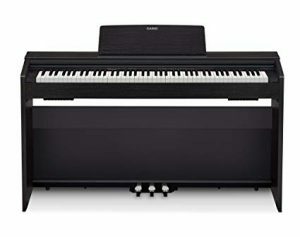 Digital pianos are designed to replicate the sound and feel of an acoustic piano. Acoustic pianos tend to be expensive, heavy, and big, which means they're just not practical for a lot of people to buy. Piano keyboards are often cheaper than digital pianos, and also tend to be lighter and more portable. Piano keyboards aren't necessarily designed to sound and feel like a digital piano (although there are certainly some higher-end keyboards that feel and sound like a proper acoustic piano). Short answer: yes, you can! Beginner keyboards have fewer keys. One thing that makes a big difference in the price of a keyboard is the number of keys it has. Many beginner keyboards only have 46 or 61 keys. Most piano teachers will tell you that a keyboard with 61 keys is fine to learn on - but 46 keys is probably not enough. Maybe you're buying a small keyboard because it's for your young son or daughter, and you just want a cheap keyboard they can play around on. That's fine - that's a great way to get young kids into piano. 88 keys are better. An acoustic piano (or high-end digital piano) will have 88 keys. As mentioned in point #1, if you want to learn piano on a keyboard then you should consider getting an 88-key version. But also keep in mind that the majority of piano music is played on the middle keys, so there is plenty of music to be learned before you’ll be required to use all of those 88 keys. Weighted keys and touch-sensitivity are also important. One of the main differences between a cheap keyboard and a high-end keyboard or acoustic piano are the actual keys themselves. When you push down a key on a piano, a mechanism moves a small "hammer", which then strikes a string which ends up giving you your note. The more softly you press a key, the lighter the sound will be. The harder you press a key, the faster the hammer will travel and therefore the sound will be a lot louder and heavier. For keyboards, replicating this experience is difficult. The cheaper models simply don’t do it and just play the recording of a sound that they are programmed to do. Other keyboards are "touch-sensitive", which means they make a louder sound the harder a key is pressed, which is a lot more useful when it comes to learning how to play the piano. You’ll want to make sure your keyboard is at least touch-sensitive, which all decent models will be. HOW MUCH ARE PIANO KEYBOARDS? $40 - $230 will buy a good starter piano keyboard. 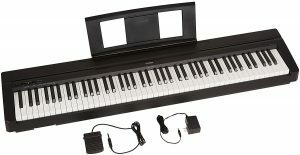 Keyboards at the higher end of this range ($120 and above) have at least 61 keys, which is a good amount for a beginner who would like to move on to playing the piano. 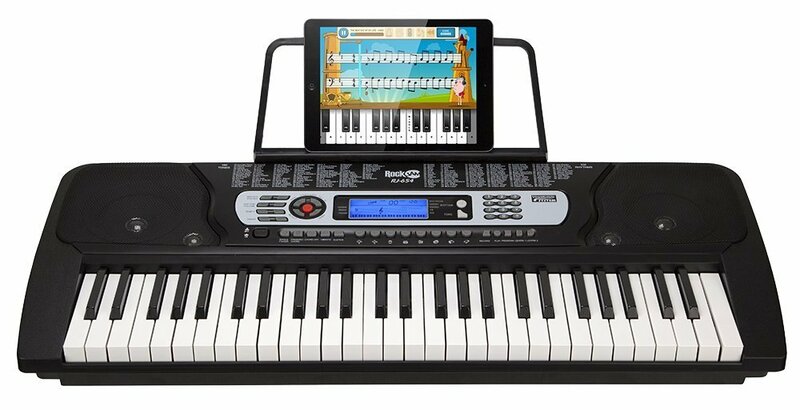 $250 - $400 will buy an intermediate piano keyboard with 76 or a full 88 keys and many useful features. This is the "sweet spot" of prices, because for this investment you can buy an excellent keyboard that you can grow into and will last for years. $600 - $800 will buy a solid intermediate-to-advanced piano keyboard. At this price range you'll get a keyboard with a full 88 keys, lots of advanced features, excellent sound quality and speakers, and often a stand to put the keyboard on. 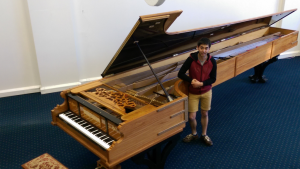 $1,000 and above puts you in the "premium" range, where you get either a professional-calibre piano keyboard or an elegant-looking "console" digital piano that looks (and sounds) just like a traditional acoustic piano. Number of keys. The most basic keyboard has 44 keys, but if you want to be able to play on a "real" piano (which has 88 keys), you'll need to start with a keyboard that has 61 keys minimum (or even better, start on a 76-key keyboard). "Weight" of keys. Higher-quality piano keyboards have "weighted" keys, which means the keys spring back after you press them down (like an acoustic piano). Features. Keyboards can have a ton of different features. Here are two of the most important: (1) the number of "voices" (sounds), and (2) the number of "styles" (back-up accompaniments). The more voices and styles, obviously the more expensive the keyboard will be. 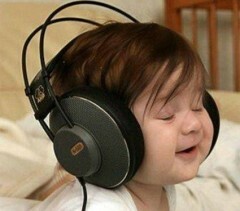 Sound quality. The notes on a keyboard often come from the "sampling" of acoustic piano sounds (in other words, the sound each note makes is recorded as it's played on an acoustic piano). Those notes are then loaded into a keyboard as sound files. Better-quality sound files are larger and therefore take up more memory storage, increasing the price of a keyboard. Compatibility. Some keyboards have a "MIDI" (Musical Instrument Digital Interface), which allows them to communicate with other devices, like a computer. This comes in really handy if, for example, you have a cool song app on your computer that you'd like to hook into while playing your keyboard. Accessories. One way to save a lot of money is to buy a "bundle" package when you purchase your keyboard. Bundles often include a stand/bench and power supply, although some bundles include the whole shootin' match - headphones, microphone, music stand, and more. Yamaha and keyboards go hand-in-hand, and the company is as famous for their instruments as they are for their motorcycles! Yamaha offers keyboards for the whole range of levels, so you’re guaranteed to find something that suits your level. And the company is constantly on the cutting-edge of technology, so you know their models are up-to-date. Quality. Yamaha keyboards are synonymous with high quality. So when you buy a Yamaha keyboard, you know you're buying a product that will sound great and last a long time. Price. You know the saying: "you get what you pay for". 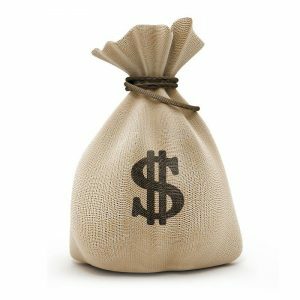 So, generally speaking, you can expect to pay a little more for a Yamaha keyboard of similar quality to a Casio or other brand. For an overview of Yamaha, check out our Yamaha keyboards page for info on their different series and our top 9 Yamaha keyboards. Yamaha YPT 255 Review: Yamaha’s Best Entry-Level Portable Keyboard? 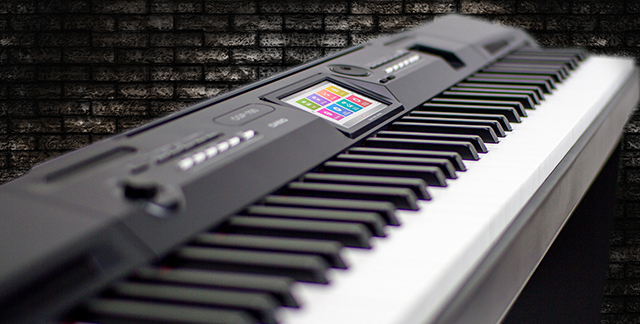 Yamaha EZ-220 Review: Lighted Keys Make Learning Easy…and Fun! 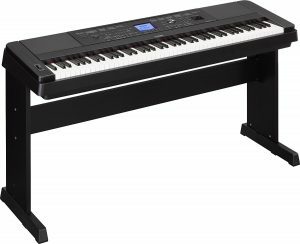 Yamaha P71 Review: Best 88-Key Beginner Keyboard? Yamaha YDP143 Arius Review: Yamaha’s Best Compact Console Piano? Casio were once famous for cheap watches, but their reputation has greatly improved over the years, and now they're known as as a leader in musical instruments, especially keyboards. Casio’s Privia and Celviano ranges especially have received a high amount of critical acclaim with high-class hammer and sound technology. The keyboards they offer are in the affordable price range and have a high level of reliability making them a sound investment. For an overview of Casio, check out our Casio keyboards page for info on every Casio keyboard series and our top 9 Casio keyboards. If you're looking for a great beginner keyboard, there are some inexpensive, good quality models that we call "made-for-Amazon" keyboards that you should definitely check out. These keyboards aren't made by the established instrument manufacturers like Yamaha or Casio, but are produced by companies that specialize in producing good quality instruments at cut-rate prices. These keyboards can be excellent an starter instrument for young children, or if you're just looking for a good cheap keyboard. For information on these manufacturers, as well as our list of the top 10 best-value models, please check out our page on Amazon piano keyboards. By choosing the right piano keyboard you'll be saving yourself money and time. But here's an even more important reason to match your needs with the best keyboard: the wrong keyboard can be discouraging, which reduces the player's motivation to practice and improve (this is especially the case with children). Budget. If you have a small budget (for example, less than $100), your choices will be limited to introductory-level keyboards with fewer keys and features than more expensive models. Young children. In this case, you might want to buy an inexpensive kids’ keyboard for your child to have fun and mess around with, which will hopefully lead to a more serious interest in learning piano. Professional play (i.e. for professional musicians). In this case you’d be looking for a model that can be used on stage or for playing “gigs”. Control. Is the keyboard easy to use? If not, your child might get frustrated and want to quit. If the keyboard is easy to use, your child will feel in control and be more motivated to keep playing. Feedback. Does the keyboard provide regular, positive feedback? It’s been proven in many scientific studies that regular feedback is one of the key things that motivates behavior - in adults AND children. Progress. Does the keyboard allow the player to feel they’re making progress? Here’s an example: some keyboards have a feature called “styes” that make it sound like the player has a back-up band. That feature alone can make the player feel like they’re a professional pianist. That’s motivating! Size. How much space do you have in your home for the keyboard? Also, if you have a small budget (for example, less than $100), your choices will be limited to introductory-level keyboards with fewer keys than more expensive models. Portability. 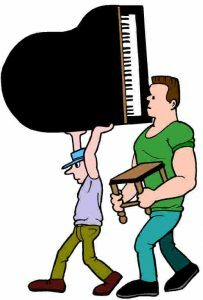 Will you need to transport your keyboard anywhere, like to piano class or relative's house. Then make sure you look for a keyboard that is light and portable. Experience Level. How much do you know about playing piano? If you’re a complete newbie, you’ll want to look at models that have built-in instruction systems (like pre-recorded songs and lighted keys that show you exactly which keys to press). Number of keys. How many keys on your keyboard do you need? 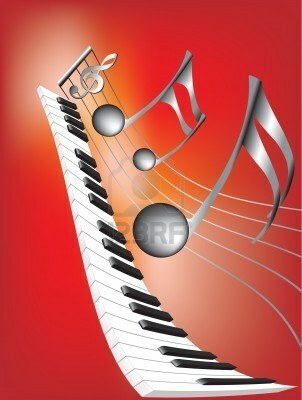 Digital pianos and piano keyboards range from 25 keys to 88 keys (traditional acoustic pianos have 88 keys). The more keys, the greater the range of sound. But fewer keys can be easier to play and less confusing for new players. Weight of keys. Do you need “weighted” keys? 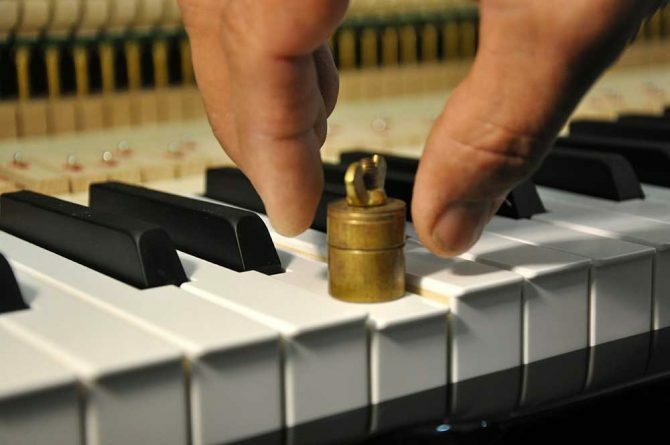 “Weighted” keys are keys that spring back up by themselves after you press them (like an acoustic piano). This makes them easier on the fingers, but also makes the keyboard heavier. 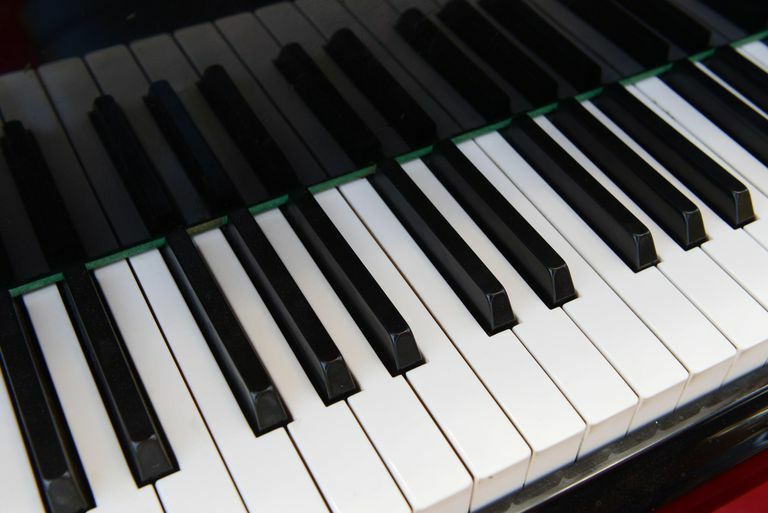 Again, if you want to eventually be able to play on a traditional acoustic piano, you’ll need to learn on a keyboard that is as similar to the “real” thing as possible - which means you’ll need a keyboard with weighted keys. Related to this, consider buying a keyboard that has “touch-sensitive” keys, which means they respond in volume according to how hard or softly you play them. Sound quality & variety. What sound quality are you looking for? A common word used to describe the tonal range of a keyboard is “polyphony” - which means the number of tones a keyboard can play at the same time. Cheaper keyboards can play 16 tones at once, while higher-end models can play as many as 128 tones at once (which results in a richer sound). There are two other type of sounds that you should consider when buying a keyboard: “voices” and “styles”. A “voice” is simply any kind of sound (piano, guitar, a singer, or even sounds like birds chirping or drills); a “style” is a type of back-up accompaniment (like a jazz band, rock band, etc). The more expensive a keyboard the more (and better) voices and styles it will have. One of the neat things about styles is you can choose - for example - a jazz band to back you up while playing the keyboard. This can be HUGELY motivating for a new player, because it makes them feel like they’re a professional pianist! Accessories. Some piano keyboards come as "bundles" with accessories like headphones, a microphone, and more. At a minimum, choose a keyboard that comes with an adjustable stand. 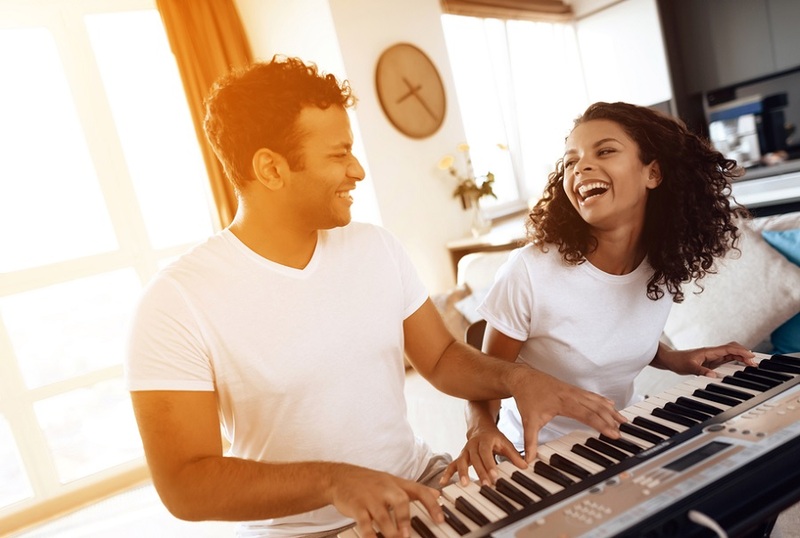 Putting your keyboard on the dining room table might seem like a good way to save a little money, but correct posture and arm position is extremely important in learning to play the piano properly. Compatibility with other devices. Do you want your keyboard to be able to communicate with other devices, like your computer? If you by a keyboard with “MIDI output” (which stands for “Musical Instrument Digital Interface”), you can connect your keyboard to your computer. Why would you want to do that? 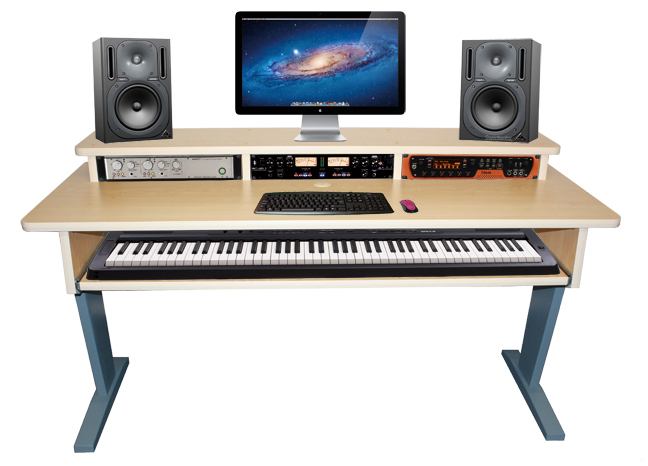 If you would like to go beyond just playing songs on your keyboard and want to get into creating your own music. But if you’re a beginner and just want to learn how to play the piano, this feature won’t be necessary. WHY SHOULD I PLAY A PIANO KEYBOARD? 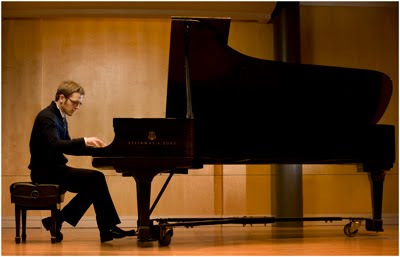 While playing the piano to virtuoso level will take many years of practice and experience, the base level of skill required to enjoy the piano is very low. It also doesn’t take a physical toll on the body. A new guitar player may get very sore fingertips, a brass or woodwind player has to build up strong facial muscles. With a piano you can just sit down and play. After a short time you’ll be able to play a simple tune, and then you can build on that. Piano playing is sometimes used on people recovering from brain injury and also to help people with conditions like attention disorders. 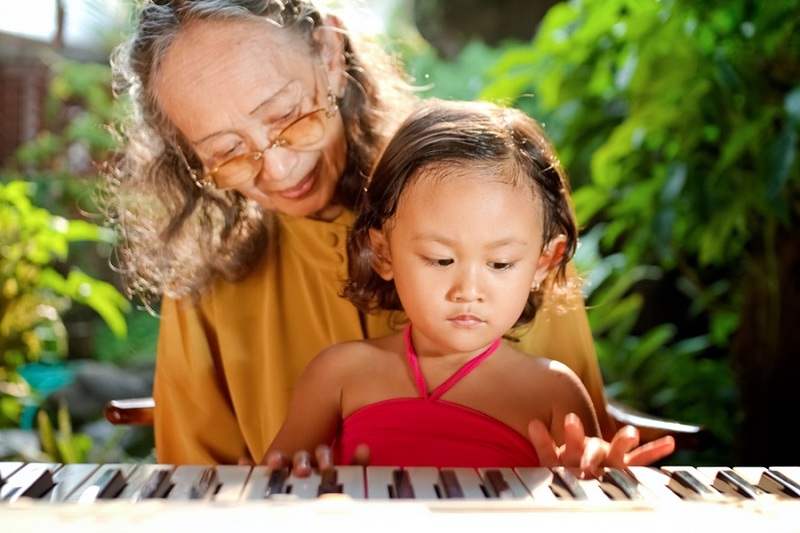 There is a reason for that as piano playing has a very positive impact on the brain. It helps strengthen connections in the brain, which helps in many aspects of life, from memory to attention span to language skills. If you’re looking for an instrument to improve your brain, then look no further than the piano. 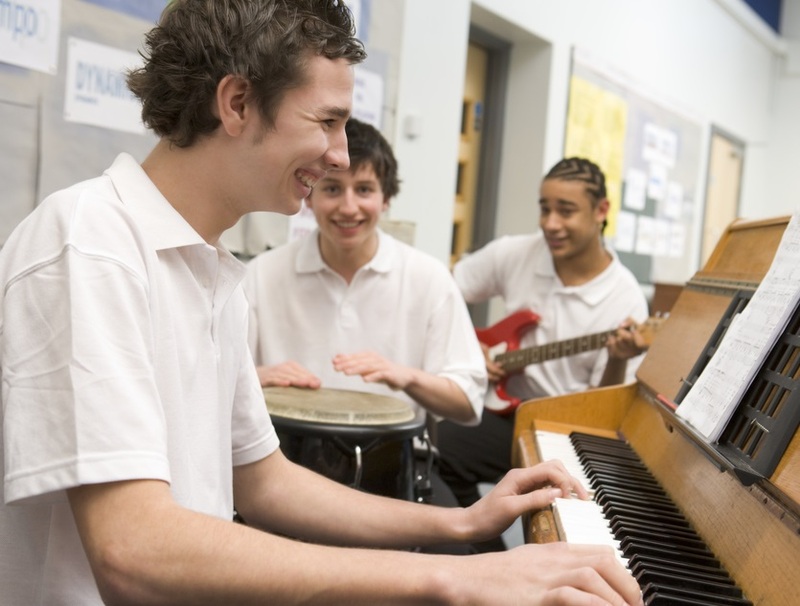 There is a link between being able to play a musical instrument and having higher grades. Beyond school age you can take those same skills into any tests that you may have to complete in later life. That ability to retain information like you would with retaining musical notes can only help you in everyday life. One of the key areas where playing can be of great benefit is with stress relief. Playing the piano can be calming as the rhythm of the keys helps take anxious thoughts out of your mind. The modern, fast paced world we live in can be stressful, taking the time to sit down and play can change the pace of your life and soothe your soul. It’s often been found that playing instruments can have a positive impact of the crippling mental health issues of anxiety and depression. It can improve your self-esteem too and the benefits aren’t just mental, having less stress will also reduce your blood pressure. The ability to take criticism is important in many areas of life. No one is perfect and everyone makes mistakes. It’s the ability to learn from your mistakes and improve that defines us and boosts self-esteem. When playing the piano and being taught how to play, you have to take on a lot of constructive criticism. This will help build you as an individual and teach you that constructive criticism is there to help you and not to knock you down. You can then take that attitude into school and work life. There are many great advantages to playing to piano. It will leave you happier while also improving both your physical and mental health, and also teaching you some great life lessons along the way. And on that positive note, we hope our guide helps you find the piano keyboard that’s right for you, so you can enjoy the many benefits of playing this wonderful instrument!